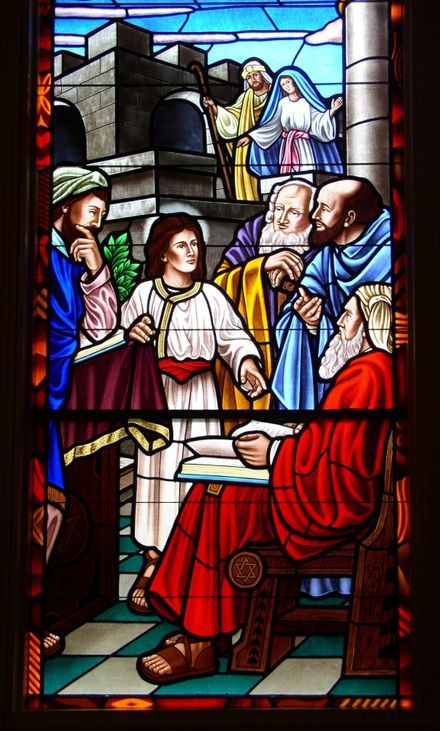 In 2005, Laws Stained Glass Studios installed (13) hand-stained pictorial glass windows for the sanctuary at Shiloh United Methodist Church in Gray Court, SC. 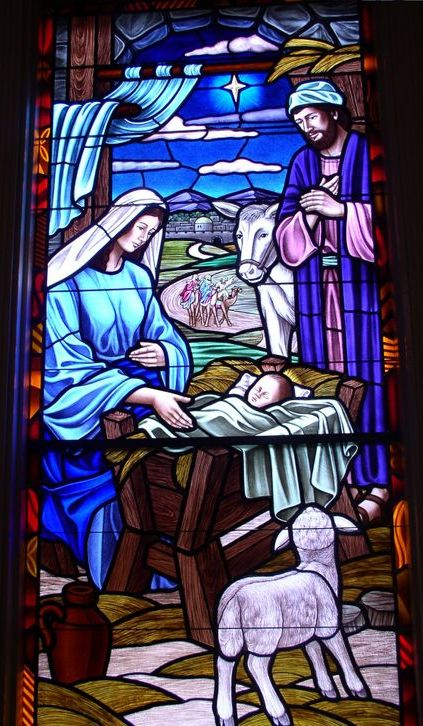 The main side windows (size 40" wide x 85" high) each depicted a scene from the the life of Christ: "The Nativity", "Boy in the Temple", "The Baptism", "Blessing the Little Children", "Jesus Calming the Storm", "Knocking at The Door", "The Crucifixion", and "The Resurrection". 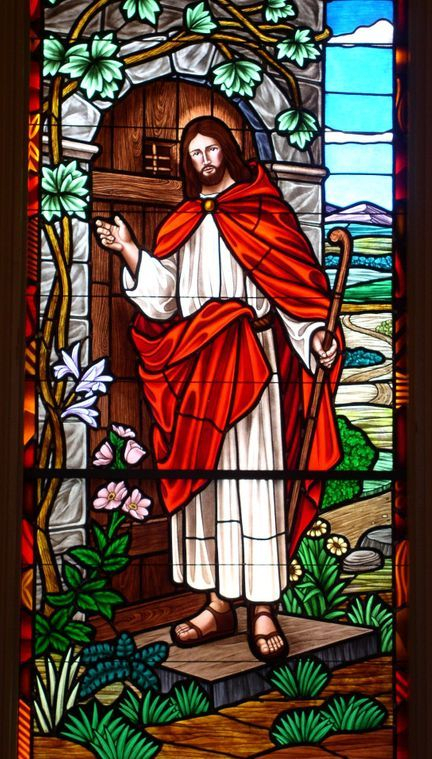 The two front windows (size 35-1/2" wide x 53" high) depict the scenes: "The Sermon on the Mount," and "The Good Shepherd." 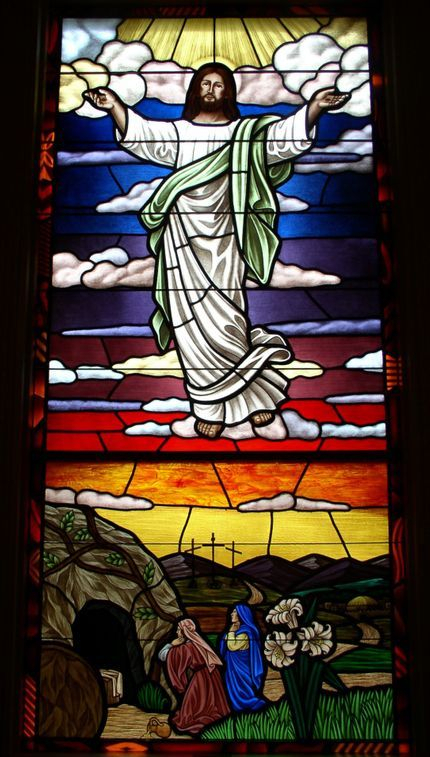 One window that had a separation between the top and bottom had the "Annunciation" scene. 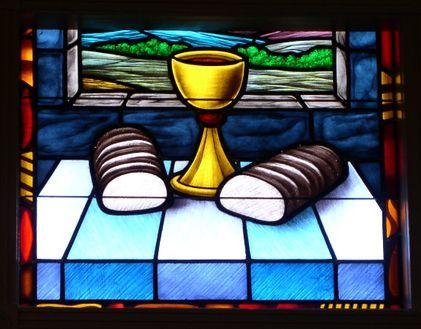 A smaller window (34" wide x 53" high) had a scene with a cup and a loaf that represents communion. All of the windows were designed by Laws' artist Vincent Ketchie and painted by Laws' artist Nina Haynes. Laws installed these windows into the existing wood frame by removing the existing wood sashes. On the exterior, Laws installed 1/4" Lucite acrylic as the protective covering.